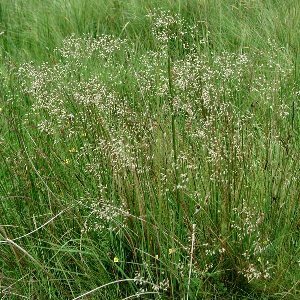 A common fine-leaved grass of acid situations, especialy on the hills. 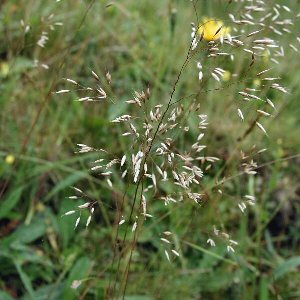 Its common name refers to the wavy stalks of the flower spikelets. All names: Deschampsia flexuosa (L.) Trin. ; Aira flexuosa L.